What's a MERV Rating and How Does It Affect My HVAC System? The Minimum Efficiency Reporting Value, or MERV, is a third party rating system for air filters. It provides a means for consumers to compare the effectiveness of various filters. The higher the MERV number, the more effective a filter is at removing contaminants. If your goal is to remove pollen because of allergies, then a MERV rating of 6 or 8 will do just fine. Buying a higher-rated filter would be like paying for premium gas when all your car needs is regular—it’s just a waste of money. Higher MERV filters have more resistance to airflow. To filter out the smaller particles, the filter media has smaller openings which may slow down the airflow and create other problems. It’s a little like using a coffee filter to strain noodles. The noodles will separate just fine, but the water flow will be painfully slow. Most residential furnaces are equipped with, and work well with, a 1” thick filter that is MERV-rated 3 to 5, or a 4” or 5” thick media type filter that is MERV-rated 6 to 8. If you want to try out a filter with a MERV value above either of those, we strongly recommend you contact your HVAC professional to make sure that the filter will work in your system without causing any airflow related problems. Also keep in mind that higher-rated MERV filters will need to be replaced more often as they “plug up” more quickly. Use this table to help guide you in selecting the filter that works best for your needs. For Clean Rooms and industrial processes. Removes all bacteria and some viruses. For Clean Rooms and industrial processes. Removes all bacteria, viruses, and smoke particles. 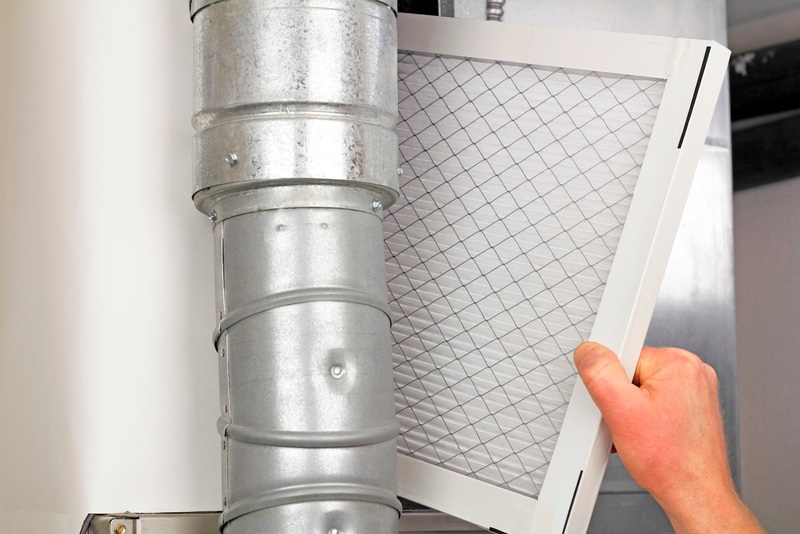 Check out these articles for more information about filters and air quality for your home.